This week we’re studying the Passover, the most popular of the seven feasts. By now, I hope you have started reading the first chapter, and filling out your study guide. The study guide is designed to help you remember what you learn in each chapter and to dig a little deeper as you do. If we look at the original Passover meal in Exodus 12, we see that it required three things, a male lamb without defect roasted over a fire, bitter herbs, and unleavened bread. 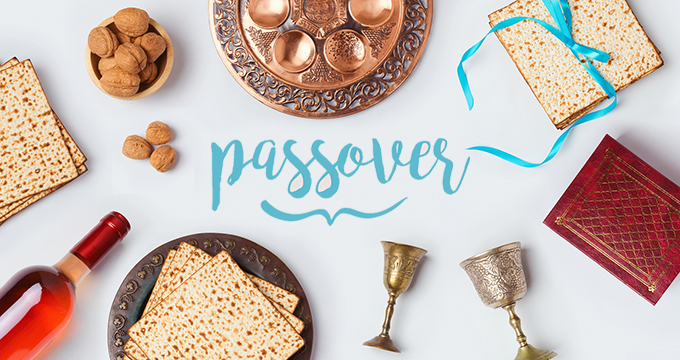 A Passover Seder today, however, is far more involved with six items on the Seder plate, 3 pieces of matzah bread wrapped in a cloth, and 4 cups of wine. So, where did these traditions originate from? As they continued to celebrate the holy days, the Messianic Jews understood that they were fulfilled by the Messiah, and so they began to add traditions to the feasts that continue to this very day. The interesting thing is that while the Messianic Jews are celebrating in this way, the observant Jews are also celebrating these same traditions, but where the Messianic community sees the symbolism of Christ within this feast, traditional Judaism interprets them differently. It’s not hard to see that these “2,000-year-old traditions” are deeply rooted in the Christian faith to both reflect the severity of our sin, and the incomparable gift of salvation. Join us this week as we take a close look at these traditions, and an even closer look at the beauty of Jesus revealed in this feast. 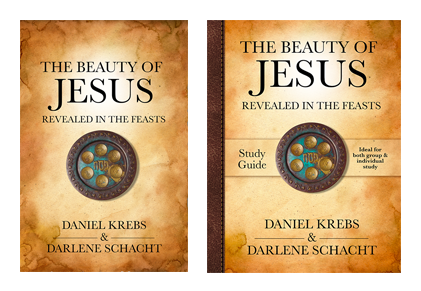 Chapter 1 of: The Beauty of Jesus Revealed in the Feasts. « Our Bible Study Starts Today! My post on this week’s video contains only a 6 minute video about the course to come. Am I doing something wrong? Thanks. In the video you state that the Passover is the first time blood is introduced. Maybe I’m misunderstanding. Blood was introduced way back in Genesis 3 when God killed the lamb (the first picture of Christ) to clothe (another picture of Christ) Adam and Eve. Also when God made the covenant with Abram (and really all people) in Genesis 15, there was blood involved. It’s a beautiful picture of the marriage of Christ to His bride as God passing through the sacrifice solidifying His covenant as a man and woman consummate theirs. I am getting a slow start to this study. My mother recently passed away, and I’ve been lost. Just yesterday I began the study and am taken away with what I’m learning about the Passover and reminded of how much I need my Savior in my life. The similarities between the two are amazing and also reminds me of how much the Old Testament leads us to the New Testament, and how important the two interchange.